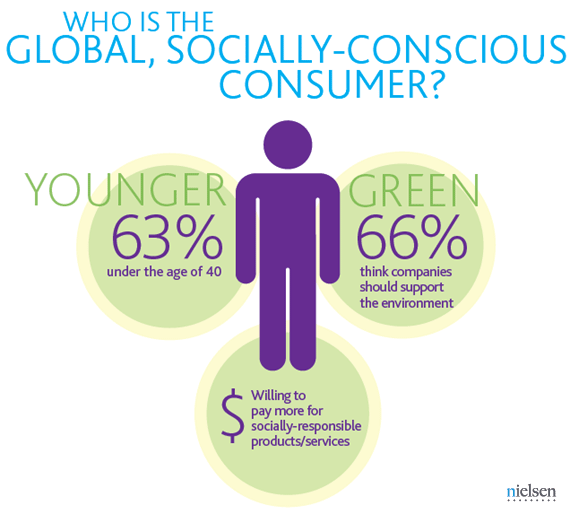 In a new global research report, Nielsen has identified a segment of the population they call the Global Socially Conscious Consumer. 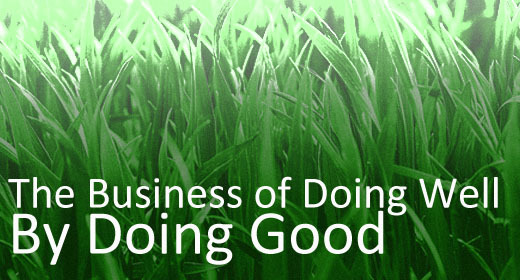 Two thirds (66%) of consumers around the world say they prefer to buy products and services from companies that have implemented programs to give back to society. They prefer to work for these companies (62%), and invest in these companies (59%). 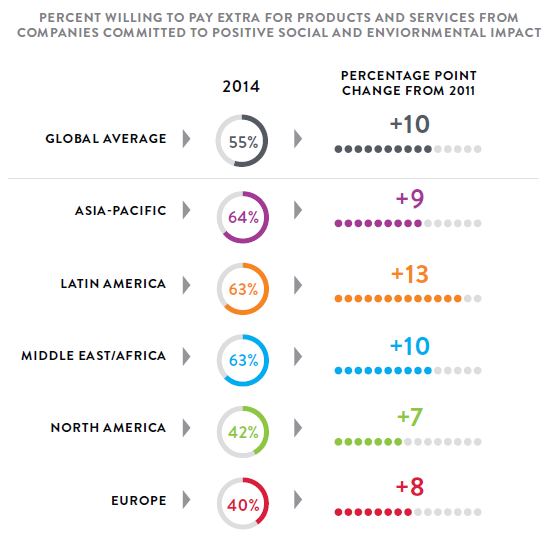 Still nearly half (46%) say they are willing to pay extra for products and services from these companies. Thanks to a tweet from our friend John Gerzema for pointing us to this research which he believes is in line with the findings in his book Spend Shift.